Samuel Whitbread, the only son and third child of Samuel Whitbread, and Harriet Hayton, was born in Cardington near Bedford in 1758. His mother died three months after he was born. His father was a highly successful businessman and was the owner of the Whitbread Brewery. His father married Mary Cornwallis, younger daughter of Earl Cornwallis, in 1769. Tragically, the following year, Mary died in childbirth. According to his biographer, D. R. Fisher: "The younger Whitbread's upbringing was largely joyless, and great care was lavished on his education by his well-meaning but overbearing father." When Samuel was sent to Eton College he was accompanied by his own private tutor. At Eton he met his lifelong friends, Charles Grey and William Henry Lambton. Samuel continued his education at Christ Church and St. John's College. After university Samuel Whitbread sent his son on a tour of Europe, under the guidance of the historian, William Coxe. This included visits to Denmark, Sweden, Russia, Poland, Prussia, France and Italy. When Samuel returned in May 1786, he joined his father running the extremely successful family brewing business. The Whitbread Brewery was making an average yearly profit of £18,000. Whitbread had purchased a Boulton & Watt steam engine to grind malt and to pump water up to the boilers. This enabled the brewery to increase production to 143,000 barrels a year. This established Whitbread as the largest brewer in Britain. Peter Mathias argues: "Public renown came on 27 May 1787 with a royal visit to Chiswell Street - by the king and queen, three princesses, and an assembly of aristocrats in train - with James Watt on hand to explain the mysteries of his engine." In 1789 Samuel Whitbread married Elizabeth Grey, the sister of Charles Grey. The two men were deeply interested in politics. Grey was already MP for Northumberland and in 1790 Whitbread was elected MP for Bedford. In the House of Commons, Whitbread and Grey became followers of Charles Fox, the leader of the Radical Whigs. Whitbread soon emerged in Parliament as a powerful critic of the Tory Prime Minister, William Pitt. A passionate supporter of reform, Whitbread argued for an extension of religious and civil rights, an end to the slave-trade, and the establishment of a national education system. 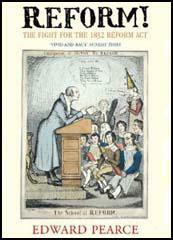 In April 1792, Whitbread joined with a group of pro-reform Whigs to form the Friends of the People. Three peers (Lord Porchester, Lord Lauderdale and Lord Buchan) and twenty-eight Whig MPs joined the group. Other leading members included Charles Grey, Richard Sheridan, John Cartwright, John Russell, George Tierney, and Thomas Erskine. 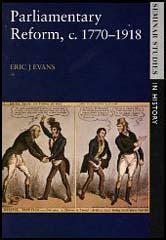 The main objective of the the society was to obtain "a more equal representation of the people in Parliament" and "to secure to the people a more frequent exercise of their right of electing their representatives". Charles Fox was opposed to the formation of this group as he feared it would lead to a split the Whig Party. Whitbread was a strong supporter of a negotiated peace with France and supported Fox's calls to send a government minister to Paris. Whitbread argued for Catholic Emancipation and opposed the act for the suppression of rebellion in Ireland. His friend, Samuel Romilly, said that Whitbread was "the promoter of every liberal scheme for improving the condition of mankind, the zealous advocate of the oppressed, and the undaunted opposer of every species of corruption and ill-administration." Whitbread's attempts in 1796 to empower magistrates to fix a minimum wage was unsuccessful. Whitbread supported Grey's protest against the renewal of war on 24 May 1803, and was active in the combined attack on Henry Addington in 1804. The following year he charged Viscount Melville with alleged financial malpractice during his tenure as First Lord at the Admiralty. It has been argued by D. R. Fisher: "Whitbread gained much credit for the tenacity with which he conducted it. Its initial success helped to stimulate a revival of radicalism in the country, as well as fatally weakening Pitt's feeble second ministry. Whitbread regarded it as a considerable personal triumph, though Melville's acquittal in June 1806 and the ridicule excited by lapses of taste and judgement in his own concluding speech of 16 May detracted from it." Unable to persuade Parliament to accept his ideas, Whitbread used his considerable fortune (his father, Samuel Whitbread had died in 1796) to support good causes. His net income from land (about £12,600 a year) almost always exceeded brewery profits (about £8,000). Whitbread gave generous financial help to establish schools for the poor. An advocate of the monitorial system developed by Andrew Bell and Joseph Lancaster, he helped fund the Royal Lancasterian Society that had the objective of establishing schools that were not controlled by the Church of England. When the Whigs gained power in 1806, Whitbread expected the Prime Minister, Lord Grenville, to offer him a place in his government. He was deeply disappointed when this did not happen. Some claimed it was because Whitbread was too radical. Others suggested it was due to snobbery and the aristocrats in the party disapproved of a tradesman entering the cabinet. Grenville did promise the post of secretary of war as soon as the incumbent, Richard Fitzpatrick, could be moved to another position. However, nothing had been done about this when the ministry fell in March 1807. In May 1812 Whitbread split with the Whigs when Lord Grenville renounced all future political co-operation with him. He did work fairly closely with Henry Brougham but as his biographer, D. R. Fisher, points out: "For the rest of his life Whitbread was an outcast from the main body of opposition. He kept up his obsessive demands for peace negotiations and sought, to a limited extent, to promote economic and parliamentary reform. His involvement in 1813 in the campaign on behalf of the princess of Wales, in which he acted as Henry Brougham's lieutenant, was a waste of his talents.... He renewed his efforts in Caroline's cause in 1814, but only succeeded in playing into the hands of ministers and exasperating Brougham." Robert Heron, the MP for Great Grimsby, commented: "Though his harsh and overbearing manners had, for a long time, been obnoxious to many of all ranks, and particularly to the poor, even whilst they received benefits from him; yet, the experience of his honesty, his enlightened benevolence, and his indefatigable exertions in almost every department of town and country business had, at length, procured for him universal respect, and, out of Parliament, almost universal acquiescence in his measures; and, probably, few men have been so extensively useful to the country… In Parliament, his bad taste and, what is perhaps the same thing, want of judgment, above all, his impractical disposition, diminished greatly the advantages which might otherwise have been derived from his great ability as an orator, his experience, and his incorruptible firmness. Samuel Romilly was more complimentary, "the only faults he had proceeded from an excess of his virtues." In 1815 Whitbread began to suffer from depression. Over the years he had been upset by the way he was portrayed by the political cartoonists such as, James Gillray and George Cruikshank. He also began to worry about the brewery business and the way he was treated in the House of Commons. After one debate in June he told his wife: "They are hissing me. I am become an object of universal abhorrence." On the morning of 6th June 1815, Samuel Whitbread committed suicide by cutting his throat with a razor at his London house at 35 Dover Street, Mayfair. Though his (Samuel Whitbread) harsh and overbearing manners had, for a long time, been obnoxious to many of all ranks, and particularly to the poor, even whilst they received benefits from him; yet, the experience of his honesty, his enlightened benevolence, and his indefatigable exertions in almost every department of town and country business had, at length, procured for him universal respect, and, out of Parliament, almost universal acquiescence in his measures; and, probably, few men have been so extensively useful to the country … In Parliament, his bad taste and, what is perhaps the same thing, want of judgment, above all, his impractical disposition, diminished greatly the advantages which might otherwise have been derived from his great ability as an orator, his experience, and his incorruptible firmness.